What is a virtual office? Could a virtual office be right for your start-up? Are you looking to establish a professional corporate image for your startup? Not sure how to accomplish this without breaking the bank? For many entrepreneurs, small business, and startups, renting traditional physical office space aren’t always logistically or financially viable. The benefits of having a professional meeting space, business address, and other office-style services for your startups are undeniable. With this, it is possible to have it both ways, and you don’t have to lease or buy actual office space to give you that corporate feel for your business entity. That’s where the technology-enabled, futuristic-sounding virtual office for startups comes in. Rather than hiring a receptionist, purchasing office equipment, phone, furniture, and fax system, a virtual office is merely a turn-key business office. A virtual office is a service that enables business owners and employees to work remotely by providing a range of business functions such as a business address, meeting & conference facilities, answering services, mail & courier services, phone services, fax services, and web-hosting services to the startups. It also allows organizations to create and maintain a professional presence in a desirable location without the need to pay rent for an actual space. Moreover, it plays a valuable role during the process of establishing business credit, and one can also use their virtual business address as the company’s mailing address. A business phone number which forwards calls to your personal devices, and sometimes calls answering/reception desk services. To put it simply, a virtual address for small business enables you to work wherever you want to work using your own devices, while still benefiting from the communication tech and professional business image that comes with being based in a traditional office. As soon as you understand the concept of the virtual office, here’s the question that really matters: could a virtual office be right for your start-up? Well, creating a presence or professional image is an essential attribute for a successful startup or small business. Whether you are an expert engaged in law, sales representation, accounting or another business in which a professional image is essential – a virtual office for your small business and startups may be the best solution for your problems. The collaborative work environment of a virtual office is a departure from the traditional office scenario in which office space is equipped, manned and leased. For a solo entrepreneur or professional who are just starting out, a dedicated traditional office will be costly, time-consuming and often not effective in creating the right image. So, if you’re looking to establish a professional image for your business but aren’t ready to move into a traditional office, then a virtual office is less expensive, more flexible and still provides significant benefits. Before you make the decision to take a virtual office and a more remote actual office location, you need to figure out – what are the advantages that a virtual office can offer your small business and startups as opposed to working in a traditional office space or working at home with no virtual services? The first and foremost benefit of renting a virtual office for startups is that it allows your business to have a higher degree of professionalism. Professional appearance of your business is everything in today’s competitive market, with hundreds of startups established every day. So, if you want to stay ahead of the competition, you need to have a robust and representative brand and corporate image more than just good products or services in order to attract users and investors alike. Having a business address and professional space in which you can meet with clients gives the impression to customers that your small business is authorized, well-established and, ultimately, trustworthy. From purchasing desks, computers and office plants, to supplying tea, coffee, and milk, setting up a traditional office for small businesses can be costly. The second pivotal advantage of the virtual office for small business is that it is less expensive to run than renting coworking spaces or traditional offices. While using a virtual office address, your small business will be able to take complete advantage of all of the benefits that a virtual office space provides, without having to face high setup costs. All you need to pay for essentials, like an Internet connection, and other necessary virtual office technology which might be cost-effective and save you lots of money and allows your small business to focus on earning money. As a matter of fact, for in-person office structure and traditional offices, the focus is on whether a person is at their desk for the required number of hours in a day or not. But just because someone is sitting at their desk doesn’t mean they are productive. In fact, employees working from a virtual office are often more productive than their desk-bound counterparts because they are more focused on meeting goals instead of just logging hours. You’re also free to find a place to work that suits your needs and fosters your productivity. If you stay in close contact with your employees and provide some fun and opportunities to socialize once in a while, you may find that employees are much happier. When employee morale is boosted, it reduces turnover in addition to increasing productivity, which can really benefit your business. Another advantage of a virtual office for startups is that you have the flexibility to work when it is convenient for you, wherever you are. You are also able to perform your regular work duties from your shop, home, library, local coffee house, without being confined to a single office all day. In renting a virtual office for your business instead of basing your team in one space, you’re offering this benefit to your staff. Virtual offices also come with additional services such as phone accessories, continued customer support, reception and meeting rooms. Startups and small businesses can benefit from reception services to take care of calls and mail on their behalf and can also have their own phone accessories, complete with features that allow text messaging, voicemail, and call forwarding. As soon as you understand the benefits of the virtual office for startups, the next step is to figure out the virtual office costs. The payment for a virtual office can be done flexibly; you are not required to pay an upfront payment or a contract that lasts a set number of months or years. The exact cost of a virtual office for startups will vary depending on factors like its facilities, locations, and services of the business entity. The Communications Package – includes a human receptionist, a local telephone number, and access to additional call features. The Address Package – includes the use of a mail, courier management services, address, and some access to physical office space. The Membership – access to boardrooms, private offices, and coworking space at member rates. 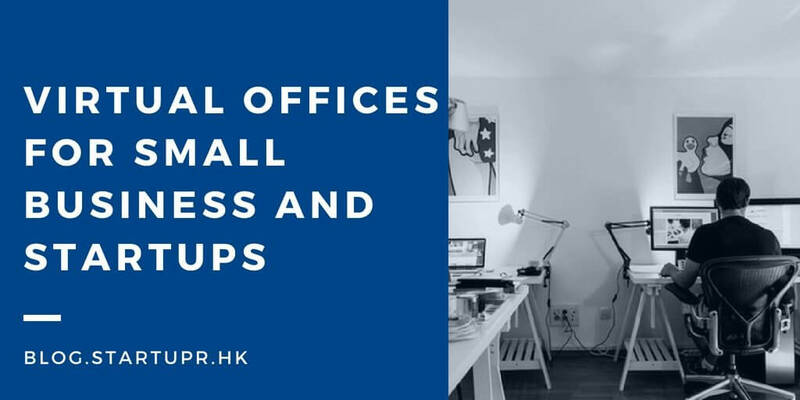 Virtual office prices start at as little as $10 to $50 per month for a basic postal package which gives you a prestigious business address and mail forwarding services. If you are still confused with the costs of virtual office, hire a professional like Startupr and get the information regarding virtual offices for startups. After knowing all the advantages of a virtual office, do you want to start a virtual office for your small business? If the answer is yes, then it’ll likely be down to you to ensure you have all the updated software and equipment that you need to make the most of it for setting up a virtual office. A cloud-based email service such as Gmail or Outlook in order to send and read messages from any connected device. A telephone or telephone system for taking and managing client calls or emails. Document sharing – A cloud-based file sharing and storage systems such as Google Drive or Dropbox so that you can access relevant documents for your startups. If you are working from home, abroad or another location then the virtual office is your perfect solution. Virtual office spaces help your startup to appear larger and more prestigious. Also the flexibility allows you to base it elsewhere while you work in a more convenient location. In case, you are looking for more information about a virtual office, contact Startupr today!